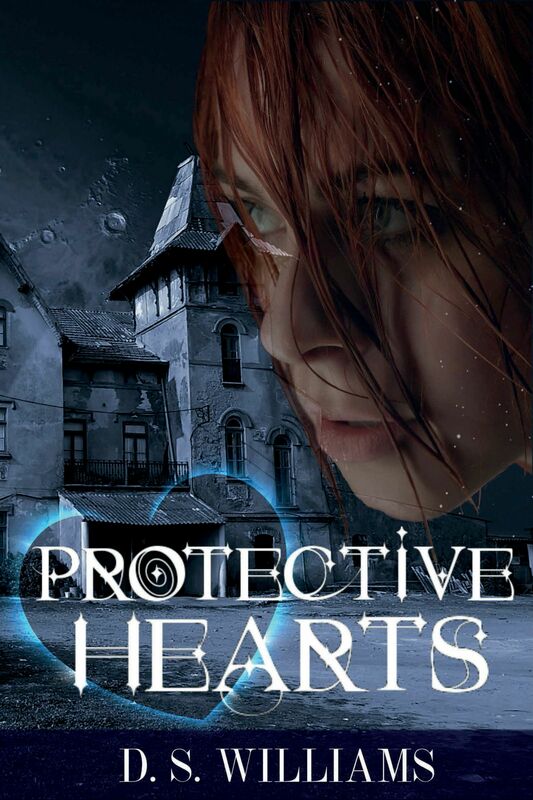 Charlotte Duncan has relocated to the small town of Puckhaber Falls, with only one goal in mind – to end her life after a devastating tragedy in her past. 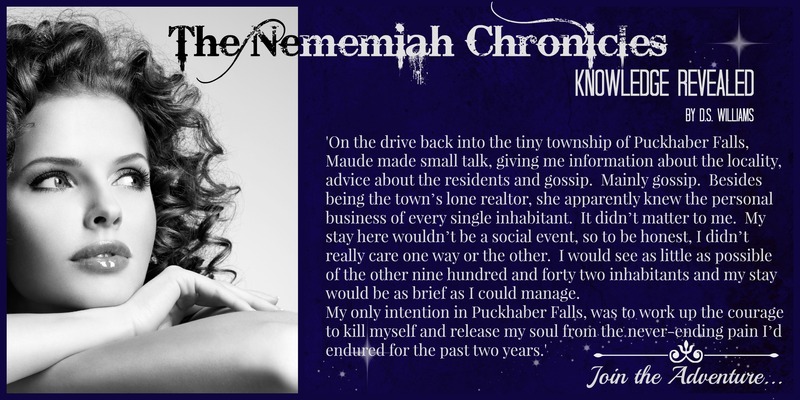 She finds herself drawn to Lucas Tine – the man is an enigma and Charlotte has difficulty understanding why she is so enamored of him. What is it about this man, which she finds so difficult to ignore? As time passes, Charlotte discovers Lucas’s mysterious background – and in turn, reveals some hidden secrets of her own. 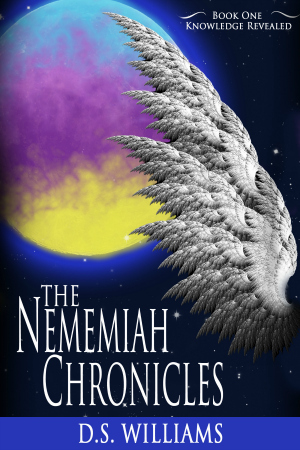 The Nememiah Chronicles – Knowledge Revealed is the first book of The Nememiah Chronicles Series by D.S. Williams.